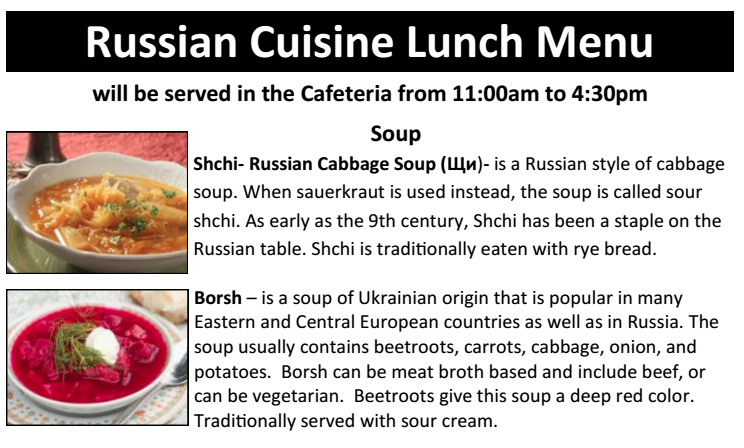 Musical Performance by "Russian Duo"
OUR 2016 RUSSIAN FESTIVAL DAY OF EVENTS!! 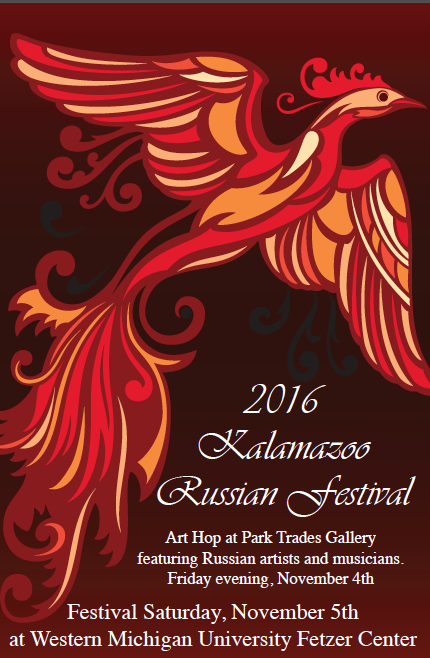 The 606 students will launch the entertainment portion of the Festival with a Russian Folk Dance, Kalinka. 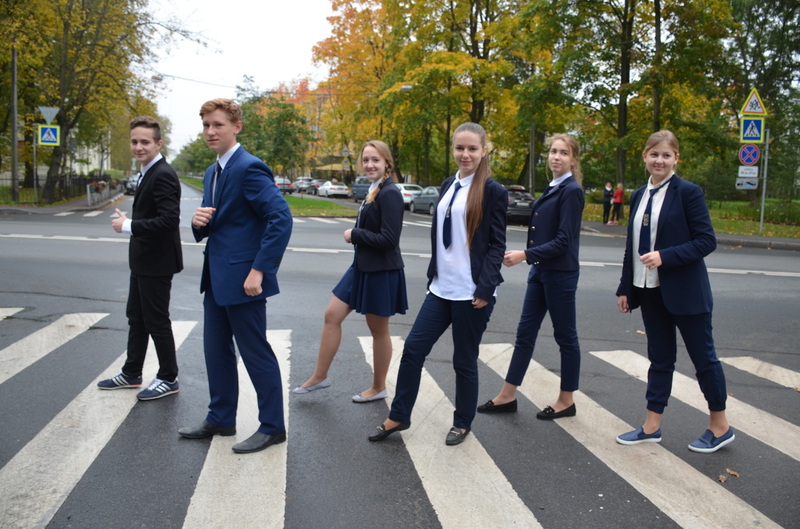 They have traveled from Pushkin, Russia to present an array of performances, from singing and dancing to musical pieces and poetry. Students at this school participate in an intensive English program with a strong emphasis on academic success. 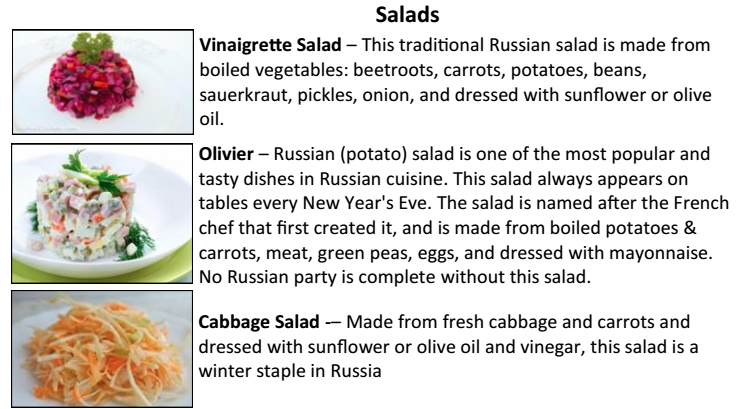 606 students are also encouraged to participate in cultural exchanges around the world. 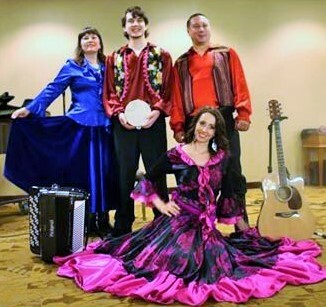 Barvinok is an instrumental, dancing and vocal group from Holland, Michigan, who interprets and plays traditional ethnic music from Eastern Europe and Russia. Nina Tritenichenko, who hails from Kiev, Ukraine, is the artistic director and accordion (bayan) master. 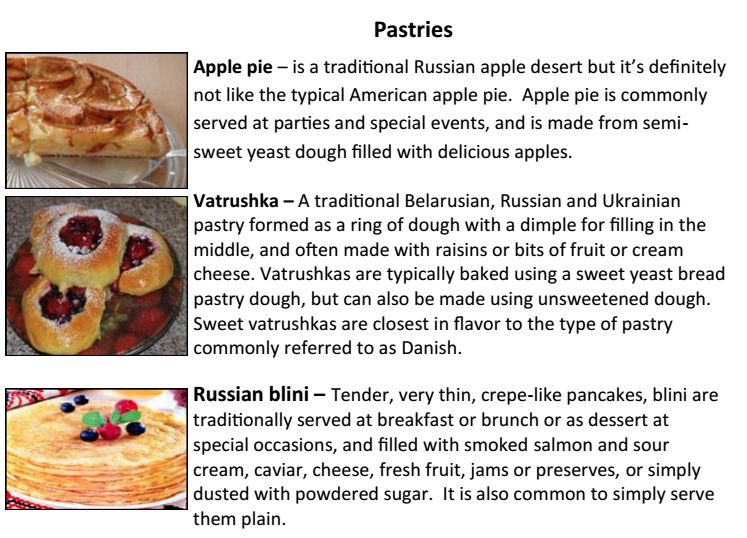 Their other instruments include guitar, domra and sopilka (Ukrainian wooden flute). Oleg Kruglyakov, a balalaika virtuoso from Russia, and Terry Boyarsky, a masterful pianist from Cleveland, Ohio, have teamed up to perform Russian folk music, gypsy medodies and more. 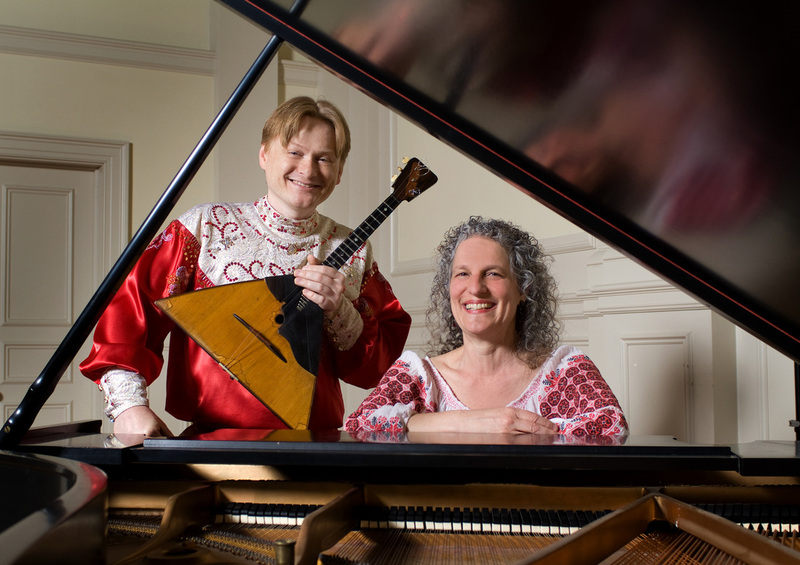 They are the only professional balalaika-piano duo in North America. 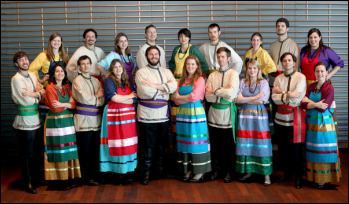 Golosá is Chicago’s one and only Russian folk choir, founded in 1997 at the University of Chicago. They sing sacred and secular Russian folk songs in a mixed-voice acappella ensemble, and perform all year long throughout the Chicago area. 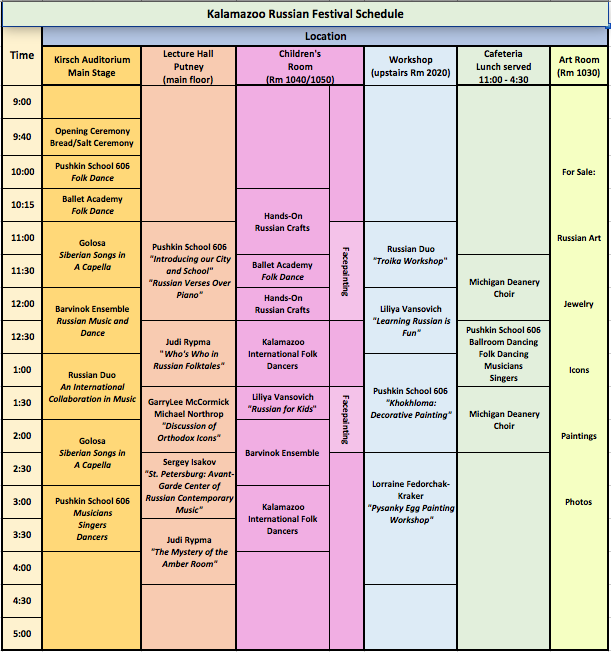 Directed by Arlene Larson, the Ballet Academy is West Michigan's only Royal Academy of Dance certified school and specializes in classical ballet and character dance for all ages. 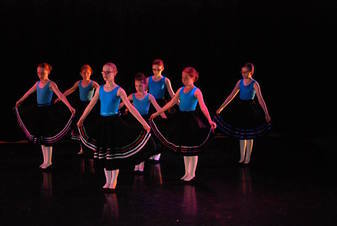 Her students will perform traditional Eastern European dance numbers.